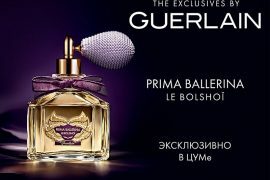 Fabergé has given a modern-day interpretation to their famous imperial Easter eggs. 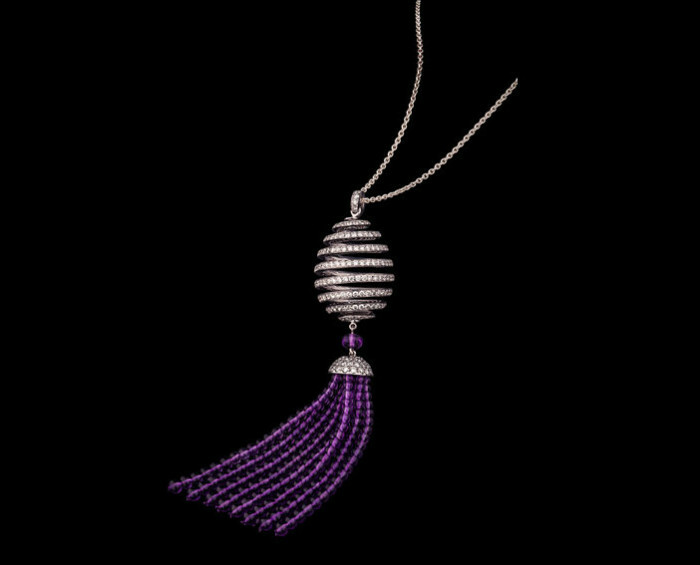 Jewelry maker will unveil the new limited edition Spiral Tassel Pendant during the exhibition, A Fabergé Easter At Harrods. 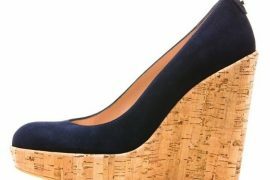 The collection is available for purchase only at Harrods from April 1 through 21 during the exhibition. A trompe-l’oeil window display decorated with Fabergé flags facing Brompton Road will showcase Fabergé’s rich history. 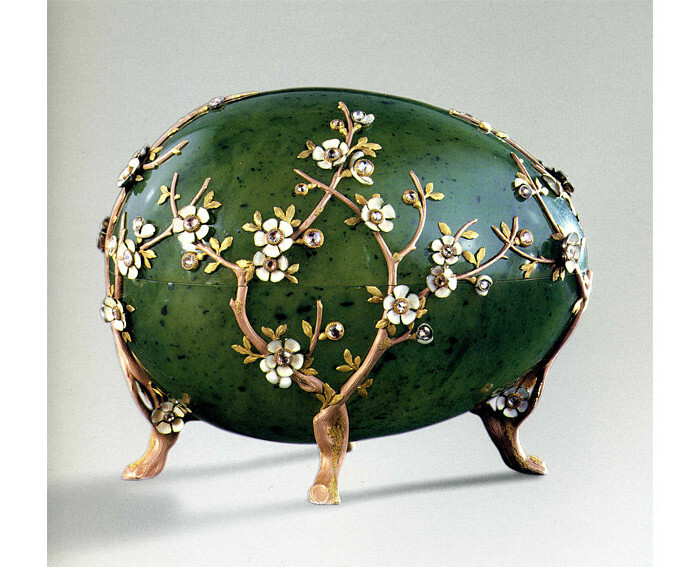 A highlight of the exhibition is the Apple Blossom Egg, an original egg from 1901 made of gold, diamonds, and nephrite. The pendent’s spiral design is a reminder of the Easter eggs and they are also seen as a symbol of transformation. The diamond studded spiral is used to form the egg shape of the pendant. 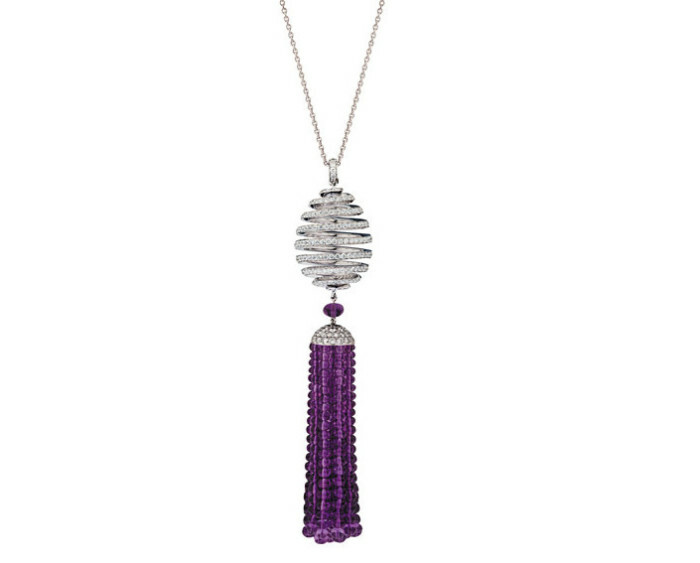 A tassel decoration with gemstone options of a vibrant amethyst, tsavorite, or spinel is available. The Fabergé Imperial Easter egg tradition was started in 1885 by the Tsar. Over the years until the Russian revolution, the jewelry house created 50 lavishly decorated eggs for the imperial family. 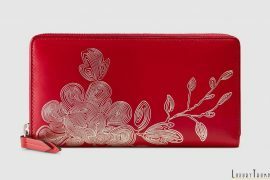 Other noble families including six generations of the British royal family and aristocratic families also have been patrons of Fabergé.